Day Care is available Monday to Friday. Poochy Day Care is available Monday-Friday. 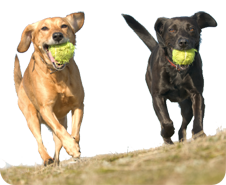 This is our most popular service; it creates a social environment so your pooch can enjoy interacting and making friends with other pooch's. The usual number of pooch's on a group walk is between four and five. This is so that we can maintain a high level of attention.